Fabulous spacious home with prestige address. This comfortable and stylish family sized home, occupies a prime, elevated position in the heart of inner city Paddington. Nestled in a quiet and sought after location, this 1960's era property has huge appeal and even greater potential. It currently has partial city views, which could be further enhanced if the property was renovated or raised (STCA). Entry is via a delightful and welcoming living room, where you will feel immediately at home. There are stylish and durable hardwood timber floors and this room has a/c, ensuring year round comfort. The living room leads onto the kitchen and dining area at the back of the house and there is a subtle separation of spaces, which is ideal for family living. The kitchen has an abundance of storage and stainless appliances. There is also an adjoining dining area, which opens to the rear deck, overlooking the generous and lush backyard. This is a perfect, sheltered space for dining alfresco or simply relaxing. The home has four bedrooms on the one level - highly desirable for so many buyers. The Master is particularly large, with an ensuite bathroom, a/c and walk-in storage. The other three bedrooms also have storage and ceiling fans. The main bathroom has a bathtub and a shower and conveniently there is a separate powder room. 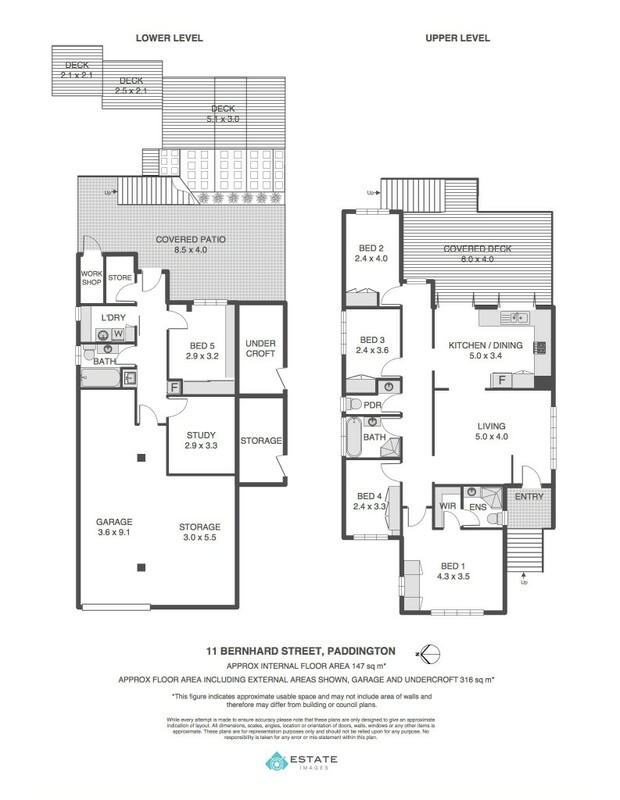 On the lower level of the home you will find a study with a/c and a separate rumpus room with storage, which has also been used for accommodation. There is a gleaming, fresh bathroom, with a shower over bath and the laundry. There is also secure car accommodation and substantial storage space. The property has established gardens and a 3000-litre water tank to help keep it looking lush. The location is outstanding - this is blue chip Paddington! There are many lifestyle offerings at your fingertips; the home is a short distance from the cafes, shops and bus transport of Rosalie Village and Latrobe Terrace, there are fabulous parks close by and Suncorp Stadium is within easy reach. The home currently sits in the catchment for the highly regarded Milton State School and it is close to other private and public schools, while the CBD is just 3km away. This fabulous, family-sized home has huge potential in an outstanding location and it won't last long.